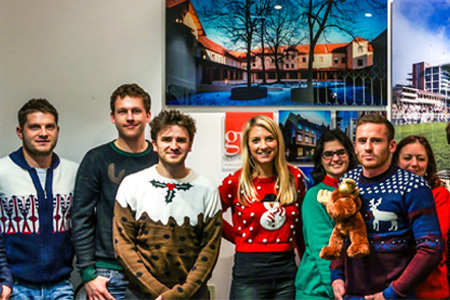 To get in the festive mood and help raise funds for Save the Children, all staff from GWP Architecture and GWP Project Services were invited to wear their best or worst Christmas Jumpers to work today, as part of the National Xmas Jumper Day campaign. This is the second year the office has participated in the event to great success as you can see from these photo’s so were pleased to donated £300 to the charity. Save the Children work around the world and in 2012 they helped save 10 million children’s lives. They aim improve children’s education and rights, reduce child poverty, eradicate child hunger while also improving child health and protection.